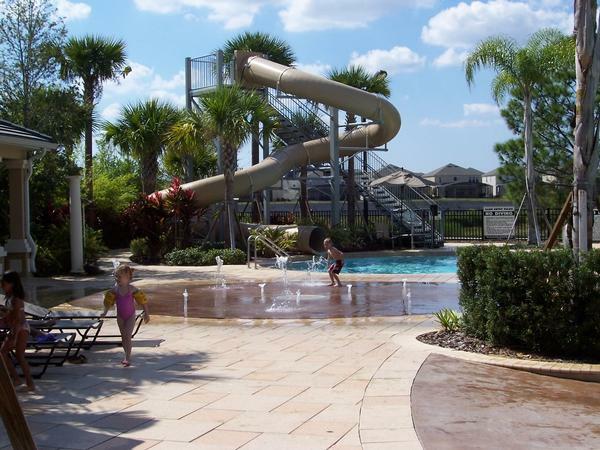 Adventures With Toddlers and Preschoolers: Renting A Home In Orlando--Special SALE $299 For Entire Week! Renting A Home In Orlando--Special SALE $299 For Entire Week! I am really excited to share this amazing deal with my blog readers! Select Two bedroom condo's at Windsor Hills Resorts are on sale for just $299 for the entire week. There are even a few three bedroom condo's on sale at this price! That breaks down to just $43 dollars per night! What an awesome deal! There are only a handful of condo's available so be sure to book quickly. The price is valid for travel to Orlando, Florida for the week of August 31-September 7th and also for the entire month of September. September is such a great time to travel to Disney World because the crowds are not that bad because school is back in session. 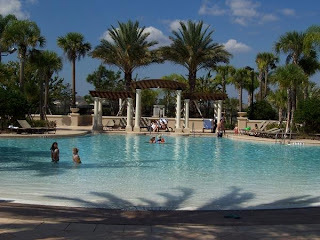 To see detailed pictures of each available townhome or condo available visit Vacation Central Florida or call 1-407-877-0777. Windsor Hills is a 24 hour security gated property located just a short five minute drive to Disney World. The resort has a beautiful resort size pool with beach entry for children along with a water slide and hot tub. Guests have access to the spa, lighted basketball courts, lighted volleyball courts, golf putting green, movie theatre and a playground! All rental properties have access to free Wi-Fi and there are no hidden fee's. Best of all the condo's have a fully equipped kitchen so you can save money instead of eating out. There is a nearby super Walmart and Target along with a Publix grocery store nearby. My favorite thing about Windsor Hills is that each unit has complimentary use of a packnplay, high chair and even umbrella strollers! This is such a nice amenity especially for those who may fly to Orlando because it saves on how much stuff you have to pack! Just be sure to select the 'baby equipment' option when booking your reservation. Children will love playing here! Choose a home that will eventually be a haven for your whole family like New Homes Orlando. Make sure that it really is perfect for our families needs and is close to the places that we frequently visit. It is important that it is close to hospitals and malls to get there fast.